Rhubarb is a fairly new friend for me. I didn’t know about this plant a few years ago. But someone had given me a slice of rhubarb pie and it was love from first bite! Then I thought that was an apple pie, it tasted very close to apples. 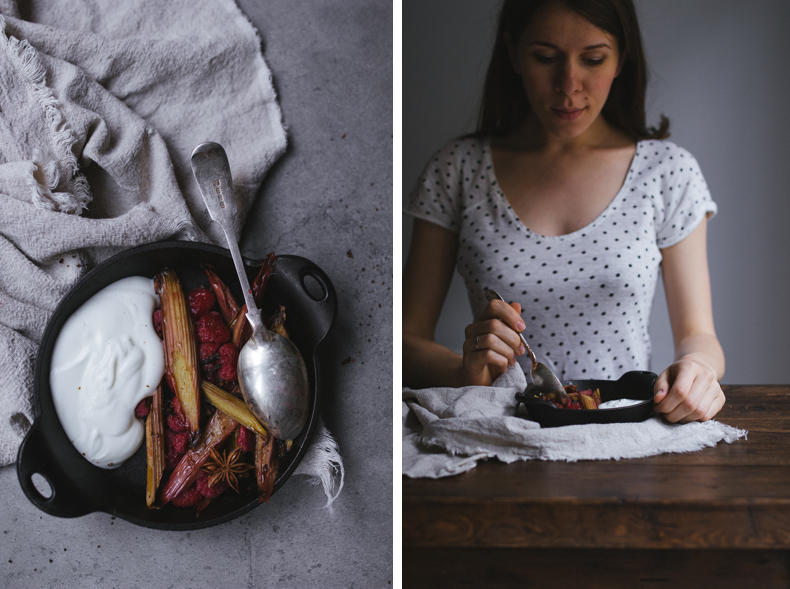 I started to search everything with and about rhubarb and try different ways to cook it. 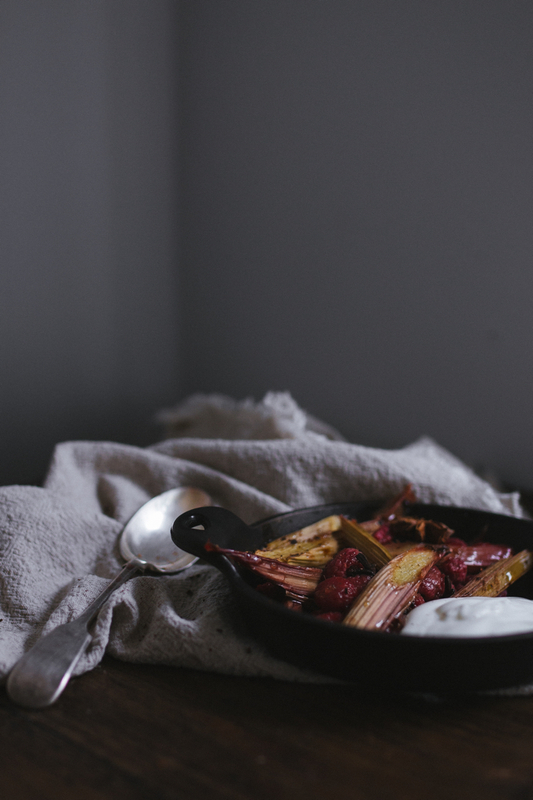 Rhubarb season isn’t over yet and I realised that I made only one thing with rhubarb – rhubarb pie. I have no recipe in my blog, but you can use “Pie with wild Strawberries” and replace strawberry filling with rhubarb adding a few tablespoons of sugar. Or just add rhubarb to strawberries. You know that it is a classic combination – rhubarb-strawberry, but I really don’t enjoy this very much. It’s quite boring for me. I like more unusual combinations. 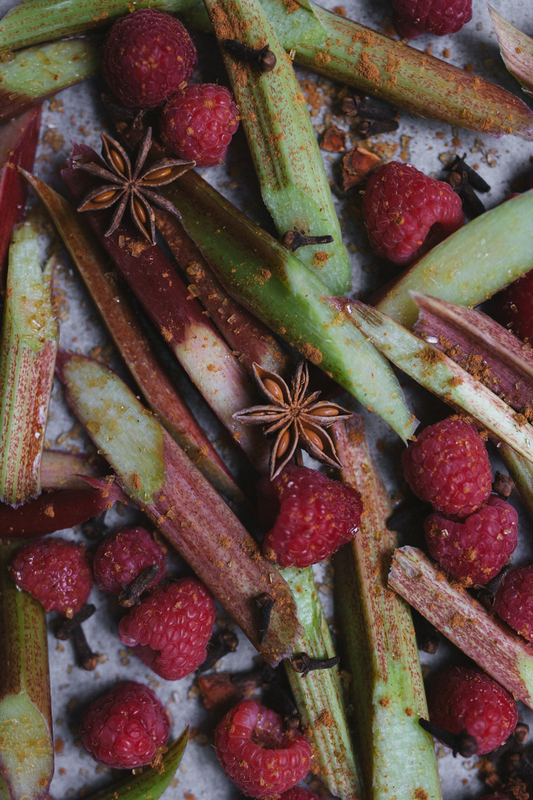 So yesterday it was lazy day and I didn’t want to make anything difficult, but I had an amazing rhubarb bunch in my fridge and I decided to roast it adding some raspberries and spices such as star anise, cloves (which is my big love by the way!) and cinnamon. And then I ate it with greek yoghurt. It was an excellent breakfast I should say. Enjoy, guys! 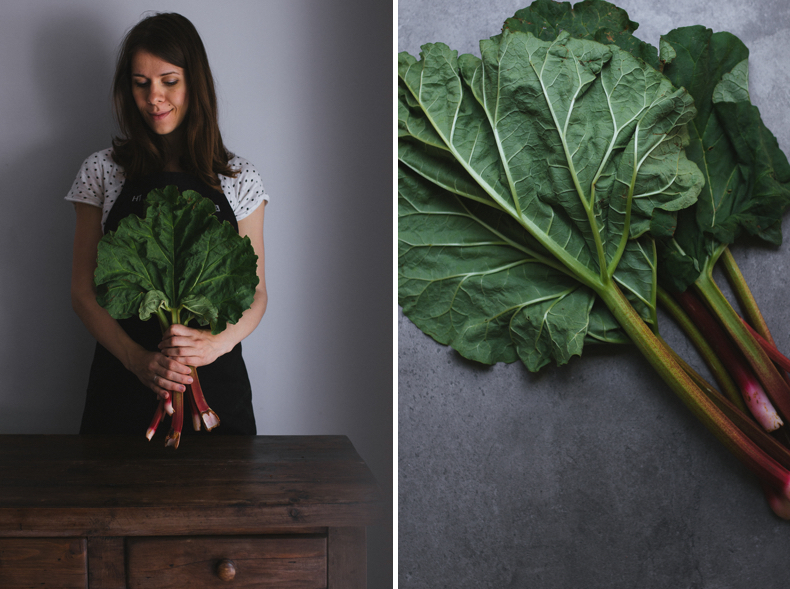 I’m also very interested to hear from you about your favourite rhubarb recipes! 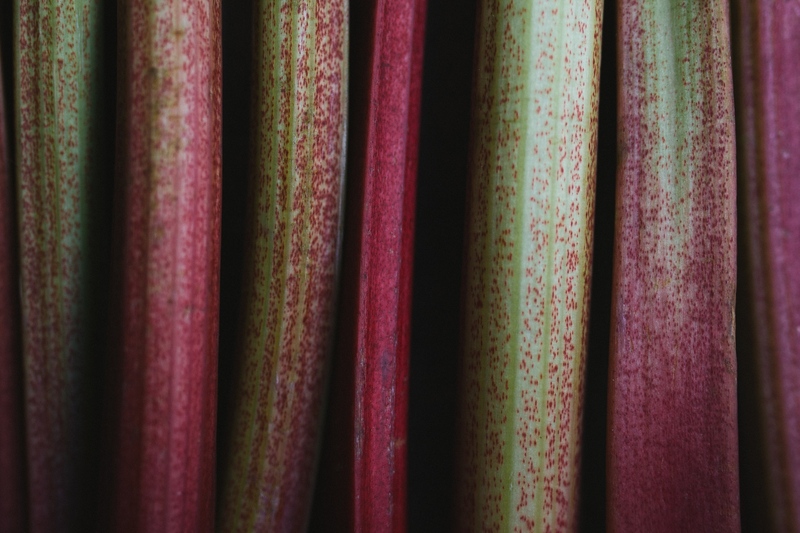 Wash the rhubarb and raspberries. 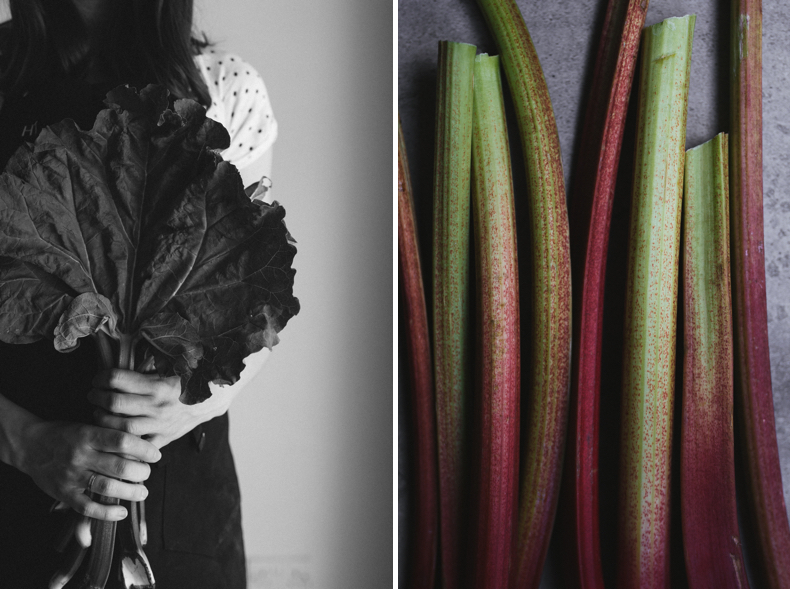 Cut the rhubarb into pieces and place in the large bowl. Add raspberries and sprinkle with sugar, honey and spices. Toss them slightly and place onto baking tray covered with paper. Heat the oven at 180 degrees. Cover baking tray with foil and bake for about 30 minutes. After that remove the foil and bake about 5 minutes. 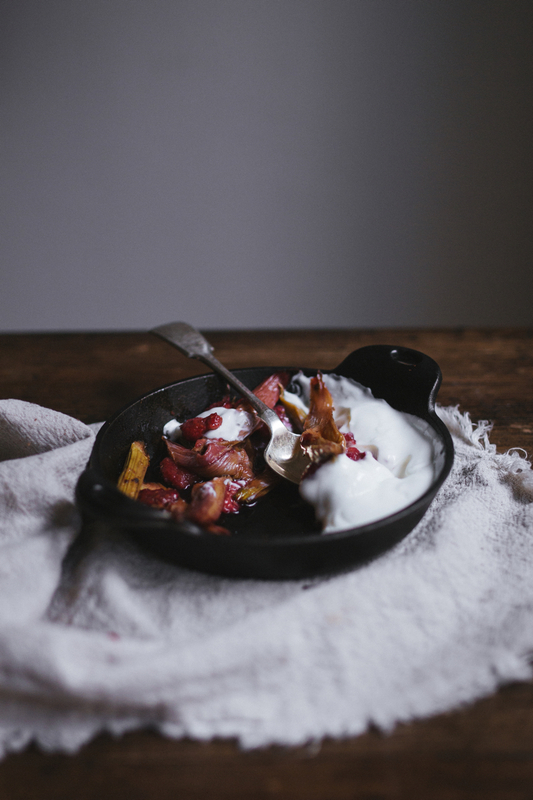 Serve with porridge or greek yoghurt. I like this way the most. 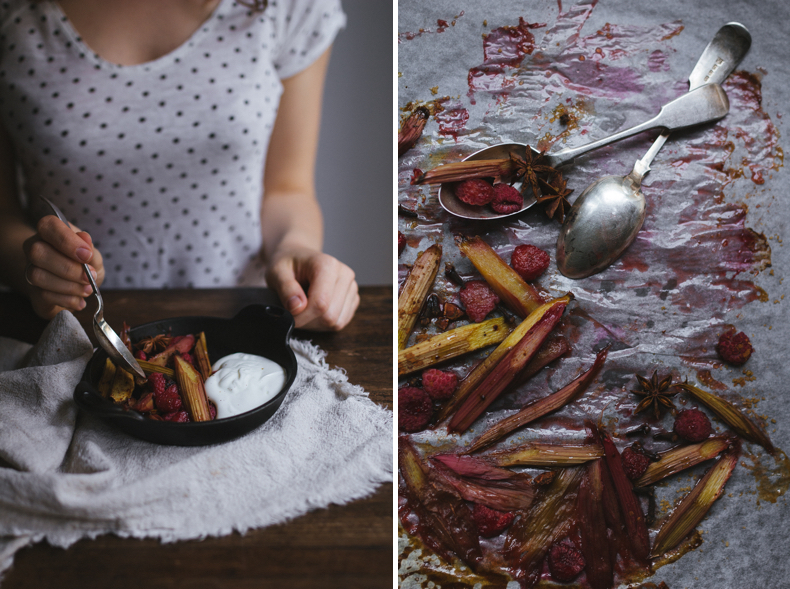 You can also use roasted rhubarb as a dip for ice-cream, pancakes, crepes, cake or anything! 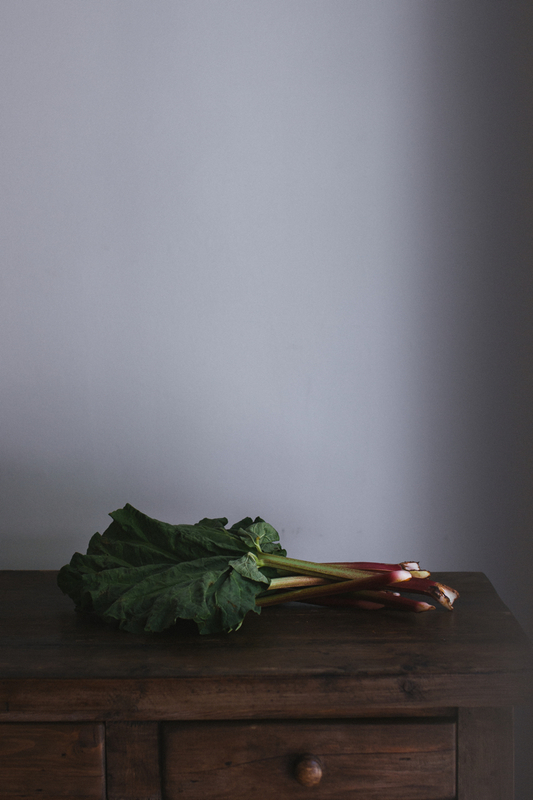 Store roasted rhubarb in a sealed jar up to few days in the fridge.